MR Online | With tensions mounting over Kerch Strait incident, will Ukraine replace Syria as focus for U.S.’ Russia containment strategy? 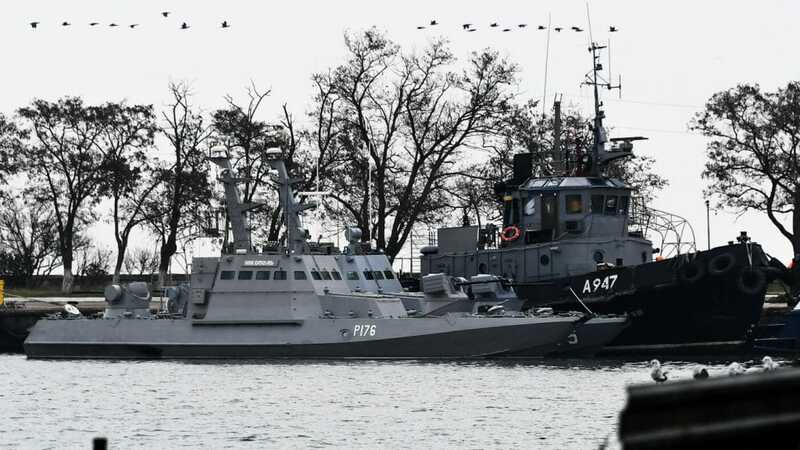 Ukraine has accused Russian ships—with no provocation—of ramming a Ukrainian tugboat and opening fire on Ukrainian gunships, injuring six Ukrainian sailors. Russian authorities have justified those acts by claiming that the ships were illegally in Russian waters at the time, did not follow normal protocols for passing the strait, and made “dangerous maneuvers” in close proximity to Russian vessels. Russia has claimed to have evidence that the incident was a “prepared and orchestrated” provocation on the part of the Ukrainian government and also stated that it would make this evidence public in the near future. In response, Ukraine’s government–which has been supported by the West since it came to power in a 2014 coup–has taken extreme measures and has moved to declare martial law in areas of Ukraine bordering Russia, which will take effect on November 28 and is expected to continue through late January. This is likely part of the motivation given that Poroshenko is lagging in the polls and several mainstream analysts have noted that the pretext for martial law–the alleged ramming of a tugboat–does not warrant the implementation of such a drastic policy. Furthermore, the text of the decree declaring martial law states that the people’s right to “elect or be elected” could be suspended under martial law if it is still in effect at the time of elections. For instance, as MintPress reported last August, the Trump administration’s decision to stop arming radical Wahhabist militants in Syria was soon followed by the administration’s decision to provide lethal arms to the Ukrainian government—after it became clear that the U.S.’ likelihood of winning its proxy war in Syria by overthrowing Syrian President Bashar al-Assad had become very slim. With the curtain closing in Syria, Washington needs a new proxy war. 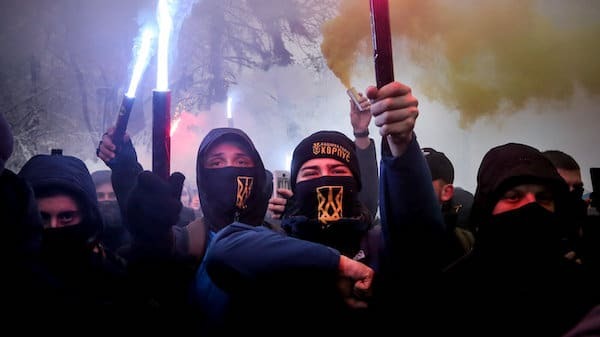 Given that containing Russia is the ultimate goal–as it is with China–what better way to step up the pressure than by sending lethal arms to a rabidly anti-Russian, U.S.-backed government in Kiev that is determined to ethnically cleanse Russians? 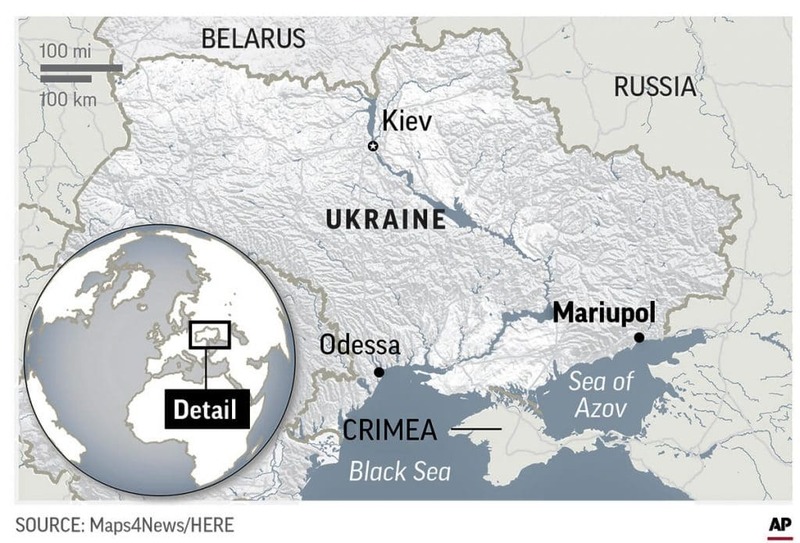 Ukraine, after all, is right on Russia’s border; and the Crimea region, which Poroshenko is determined to return to his control, is now a part of Russia.